Groupware Software | Online Collaboration tools | Try it for free! Schedule meetings, vacations and group appointments online! The Calendar for events and ressources creates automatical reminders, invitations or alternative appointments. Manage all your files safely! A detailed rights administration, archiving options and reading access to files for external partners make it easy. All data in the Cloud Packages is stored in a German data centre! The integrated E-Mail Client is perfectly connected with the other modules like Calendar or InfoLog. The allround groupware solution interlinks mails with your adresses or files. Manage informations and responsibilities for your whole team! The collaboration platform organises your teamwork also via tasks and notes. Every colleague can access the same project relevant information, files and contacts. Customize all groupware modules to the needs of your company! As an admin, you’ll get lots of needful tools and preferences to maintain the whole platform. Our experienced team is always happy to help. Maintain customer data, use different address books online or search for contact types! 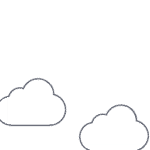 Safe dropbox alternative: The EGroupware Cloud is hosted only on German servers in Frankfurt and Karlsruhe – data sovereignty guaranteed. You can also run EGroupware in your own infrastructure. Feel free to contact us for further information! EGroupware is open-source software for companies, research institutes and clubs. Open code stands for freedom of choice, transparency and safety. Stay independent! Our experienced support team is happy to help! You decide what suits you better! Installation, hosting, updates, backups and support – We handle all the technics for you. EGroupware is available as a cloud service, hosted in a German data centre. Groupware on your own Server? You prefer to install EGroupware in your own infrastructure? 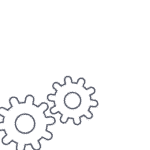 Installation packages for Linux environments are our perfect solution for you – The Pro Version is included automatically. Group Calendars, Address books, Tasks and Projects, Tracking System, File Management, E-mail client: EGroupware is an online open-source enterprise software for business use and provides the services by using cutting edge collaboration technologies which allow organisations to collaborate in a secure and function rich environment, supporting integrated project teams across and within organisation boundaries. 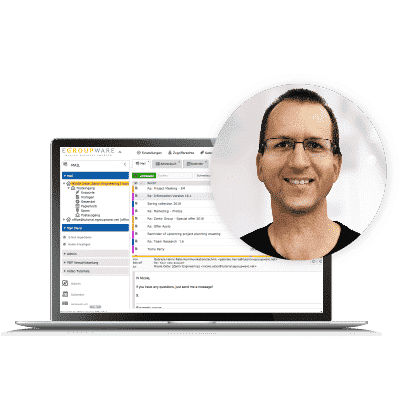 Interlinking any data across applications and setting up business processes through configurable custom fields are making EGroupware desirable for companies, who require the highest flexibility from a collaborative software solution. The mobile version with smartphone optimisation enables online access to all data on the go, without any need of synchronisation – collaboration wherever you are. Try the online teamwork tool now!